Since 1980, more than 700 social studies teachers have taken part in the KKC Study Tour to Japan. The program aims to deepen participants’ understanding of Japan and contribute to international mutual understanding across the Pacific. Their experiences and findings in Japan have significant value to their students, who will build future ties with Japan. -Enjoy traditional and contemporary Japanese culture. 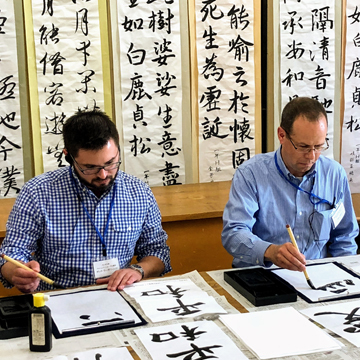 Keizai Koho Center offers the KKC Study Tour to Japan for North American Middle and High School Teachers in cooperation with the National Association of Japan-America Societies (NAJAS). The 2018 KKC fellows visited Japan from 25th June to 2nd July.